BikePlan CyclePlus will give you piece of mind so that you can enjoy travelling longer distances knowing you are covered. 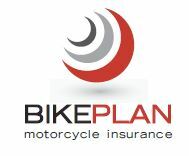 Please read the BikePlan CyclePlus policy wording for a full list of indemnity covers and restrictions. Please fill in the following form below so we can assist you getting your motorcycle covered today.